I have searched high and low for a tan trench coat for awhile now and this one takes the cake. 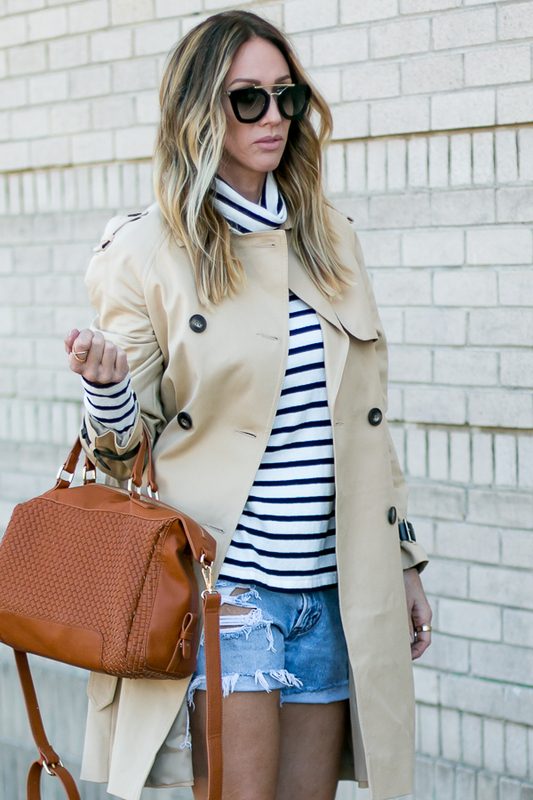 I have been on the prowl for a classic, tan trench coat for a couple seasons now, without breaking the bank. When I first saw the leather cuff details and buttons on this beauty, I was head over heels instantly. It has such a classic military look and yet has a total modern vibe too. As a California based blogger, our fall season typically starts with a bit of an Indian summer, so layers here work perfect. We had a brief little stretch of rain a week or so ago and now are expecting more tomorrow and I could not be more thrilled. For those of you that may still have warmer weather, why not wear shorts in lieu of pants and pair them with your trench coat and favorite booties.